In this book column, I will run through and review some of my favorite books I’ve recently read. My first suggestion is Becoming by Michelle Obama, a refreshingly candid autobiography. She delves into her childhood and life as the first African American First Lady, telling the reader about her background and how she found her voice. Obama shares her authentic self with the reader, taking us through her life full of accomplishments and meaning. 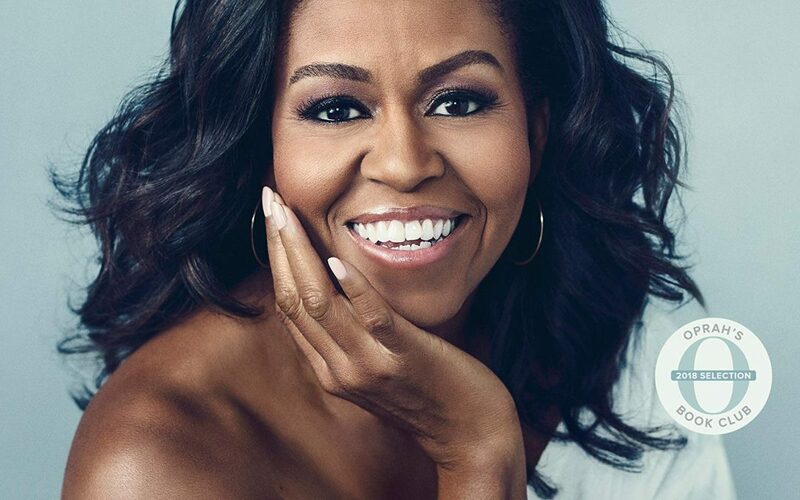 The book is split into three parts: “Becoming Me,” “Becoming Us,” and “Becoming More.” Each section brings new perspectives and sheds light onto her own life and the life of her husband, President Barack Obama. As the story continues, you see how she grows, not only as a person, but as a mother, a wife, and a First Lady. Enduring and facing many obstacles, Michelle Obama inspires the reader to become truly and unabashedly themselves. My next suggestion is Death on the Nile by Agatha Christie. A very complex book with a chilling plot and well-developed characters, Death on the Nile is a great book to get you started in the Hercule Poirot series. The book starts slowly by introducing all of the characters and eventually building up to the murder on a cruise in Egypt. The real investigations begin when Linnet Ridgeway, a beautiful, rich socialite, is murdered in the prime of her life. She comes onto the cruise for her honeymoon with her new husband. Luckily, Hercule Poirot, world-renowned detective, happens to be on the same boat. The people on the boat all have separate motives and agendas, and it is up to Hercule Poirot to uncover the truth. Christie introduces many plotlines in the book, and, as the reader, you must avoid the red herrings and try to solve the murder. Finally, Six of Crows by Leigh Bardugo is a heist story with diverse characters in a fantasy world. The book begins with a short prologue that introduces the setting of this story: a city of thieves, liars, and opportunity. Like many fantasy novels, it does start slow, but the pace quickly picks up. The book is focused on six central characters, each with their own narratives and different skill sets. All the characters have interesting flaws that draw the reader to sympathize with them. Bardugo weaves a grimy fantasy complete with knives, guns, magic, and technology. The character clashes and interactions increase tensions, and, as you keep reading the book, the stakes get higher and higher until the final moment when all is revealed.